It’s time to shine and add some serious gloss to your eveningwear with the new metallic trend. Eternally alluring, metallics are back for SS15 and they’re making over our evening wardrobes with some all-out glitter and full-on razzle-dazzle. A glitzy evening gown is always a must for big events and is something we dream of adding to our wardrobes at the beginning of every season. This Sequin Halter Dress by Halston Heritage ticks all the right boxes: Silver, sequined and sultry. We guarantee you will feel like an icon as soon as you slip into this floor-sweeping dress. 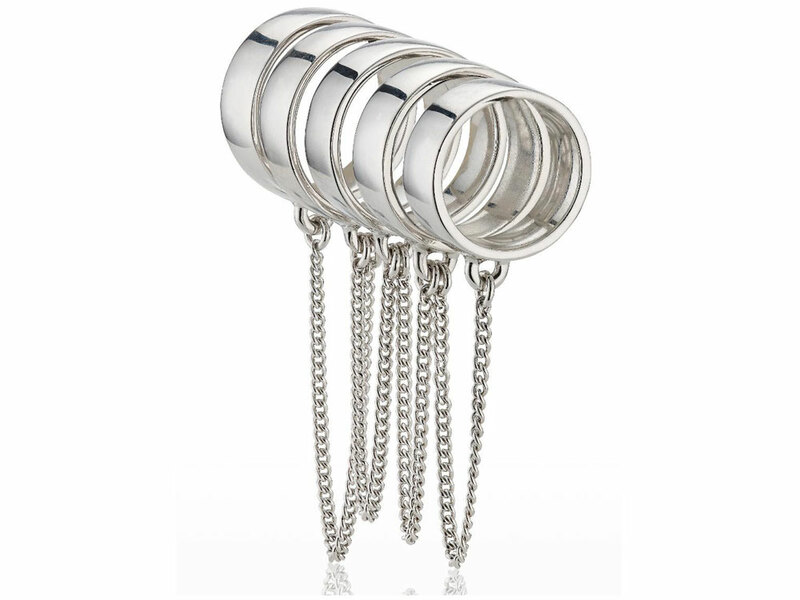 That amazing gown won’t need much accessorising, but if you want some statement jewellery to up the ante on something slightly subtler, then we recommend you invest in this Five Fingers Chain Ring by Eddie Borgo. Wear with all of your current eveningwear staples, from midi dresses to paired-back separates to instantly toughen-up your outfit. For effortless evening style, you need a top that is both seriously glamorous and at the same time, totally effortless. 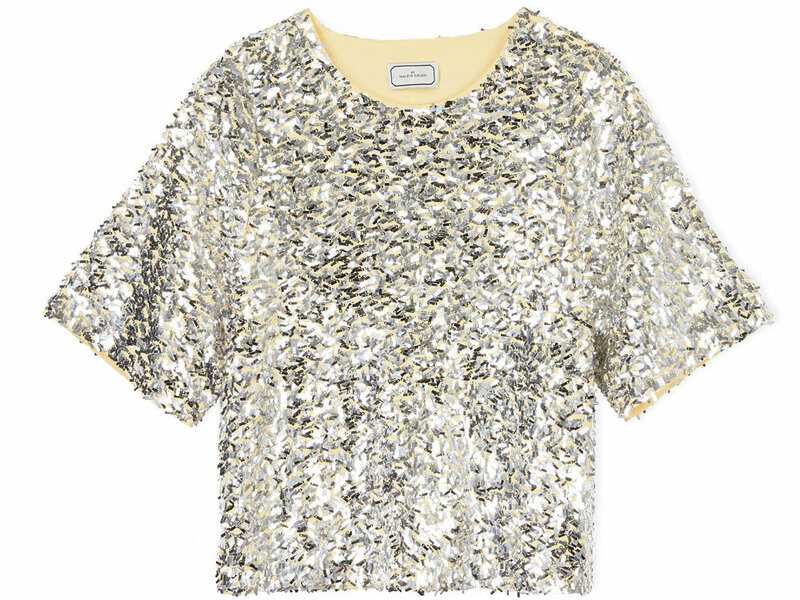 This Lontras Sequin Top from By Malene Birger is perfect. The super-shimmering silver sequins, teamed with that tailored-t-shirt cut, means this top will become a regular in your after hours wardrobe. Team with neutral trousers or white denim for an SS15 update. 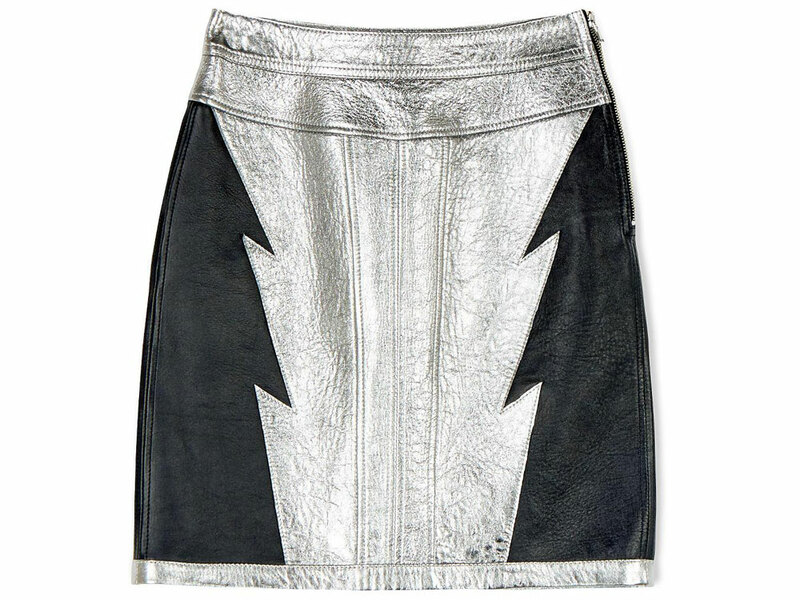 For something a little more fun, this Osilver Leather Skirt by Diesel Black Gold will give your eveningwear a youthful makeover. Wear with chic silk shirts and black cut out heels for understated chic, or dive feet first into the trend and add metallic heels, a shimmering black halter-top and a cropped jacket to show your fashion know-how this season.